Location: 8° and 12° North Latitude, 71° and 74° East Longitude. It is 220 to 440 km off the Malabar Coast, Kerala, India. Food: Spiced, Rich Coconut, Vegetarian, Non vegetarian, Fried, Barbecued fish. Enjoy your tour to Lakshadweep with a lot of things to do. Take a sight seeing tour or experience the thrill of water sports like, Yachting, Pedal boating, Scuba diving, Canoeing, Kayaking, Snorkeling, Sunbathing and Swimming. Visit the local attractions, such as the Marine museum, Light House, Sports Clubs and a few coral industries. Taking away any coral. It is a punishable crime. Consumption of alcoholic beverages. It is totally prohibited and is a punishable crime on all islands except Bangaram. To pluck tender coconuts yourself. The Lakshadweep Islands consist of an archipelago of coral islands in the Indian Ocean. Located in the Arabian Sea are 36 islands, 10 of which are inhabited. The remaining islands are undisturbed and have an abundance of bird and marine life. The Lakshadweep islands have beautiful pristine beaches, and are surrounded by coral reefs and lagoons with clear blue water. The beauty of the underwater coral formations and marine life has to be seen to be believed. 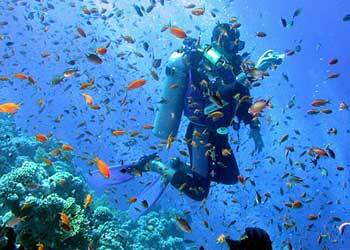 The Lakshadweep islands are a great place for scuba diving, snorkeling and other water sports. The number of tourists visiting the Lakshadweep islands is limited, to ensure that the sensitive marine ecosystem is not harmed in any way. 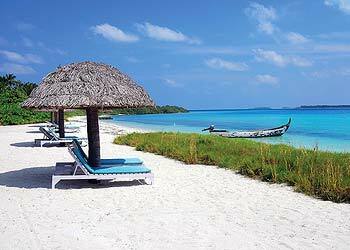 Among the 36 Lakshadweep islands only five islands are open to tourists, including 2 islands for international tourists. Bangaram, which is an uninhabited island, is open to international tourists, along with the island of Kadmat. 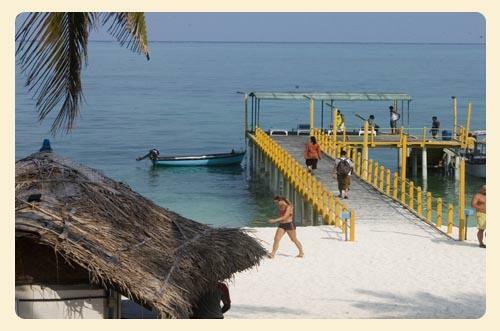 The islands on which Indian tourists are allowed are Kalpeni, known for its lovely coral and fishes; Kadmat, which has a beautiful beach; Minicoy, which has a splendid lagoon and Agatti, where tourists land at the only airport in Lakshadweep. 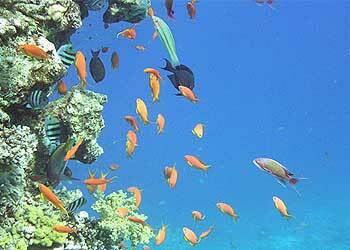 The Lakshadweep Islands are located about 155 and 261 nautical miles (287 and 483 km) away from Cochin in Kerala. Tourists can travel by ship from Cochin and enjoy touring the Lakshadweep islands. 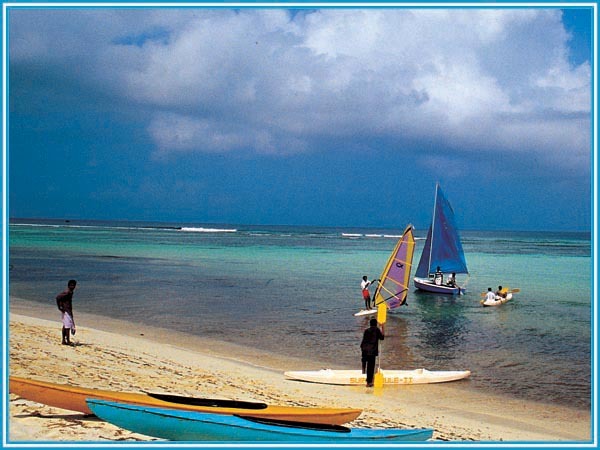 Tourism in Lakshadweep offers many opportunities for water sports and relaxation. The tourist facilities are managed by the Society for Promotion of Recreational Tourism and Sports (SPORTS). Boat rides in the lagoon: Tourists can enjoy a ride in glass-bottomed boats, to view the coral formations and colorful fishes and marine life in the lagoons at Lakshadweep. Tourists can also enjoy snorkeling from the boat as it stops near sunken shipwrecks. Scuba Diving: Divers can enjoy scuba diving in the beautiful lagoons and can see the colorful coral and marine life from up close. Visitors are urged not to damage the coral in any way. Deep Sea Big Game Sports Fishing: Fishing enthusiasts can try deep-sea fishing during the fishing season from October 1st-May 15th only. For Indians: All Indian tourists need to get entry permits from the Lakshadweep administration. The four islands open to Indian Tourists are Kalpeni, Kavaratti, Minicoy, and Kadmat. Tours to these islands by ship are organized by the Society for Promotion of Recreational Tourism and Sports (SPORTS), an arm of the Lakshadweep administration. Foreign Tourists: Foreign tourists can only visit Bangaram and Kadmat islands. Prior to booking a hotel stay foreign tourists are required to provide the following information: 1. Full Name, 2. Address, 3. Place/Date of Birth, 4. Nationality, 5.Passport Number, 6. Date of Issue/Expiry of Passport. By Air: Indian Airlines has regular direct flights from Kochi in Kerala to Lakshadweep's only airport on Agatti Island. By Sea: Ship cruises organized by SPORTS (Society for Promotion of Recreational Tourism & Sports) are a popular option for tourists who wish to see the natural beauty of Lakshadweep.